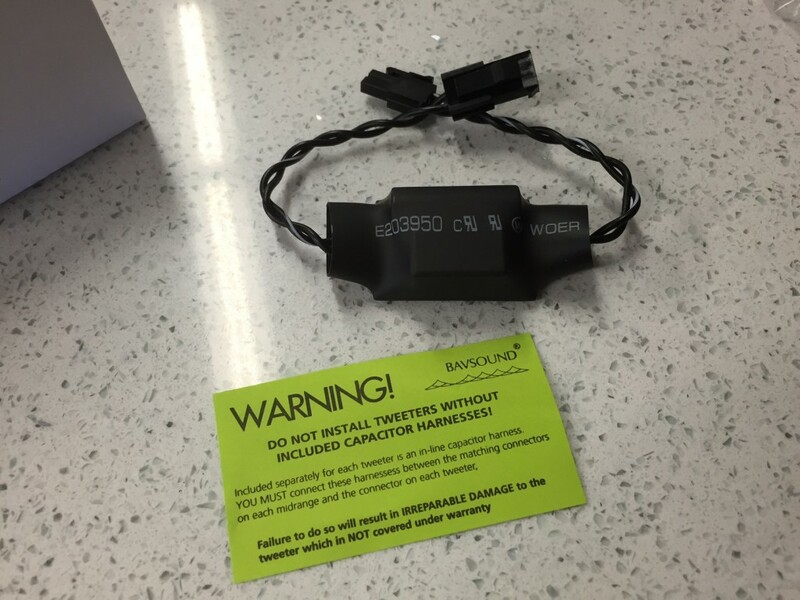 BavSound for BMWs – Better Sound Simply from Better Speakers? 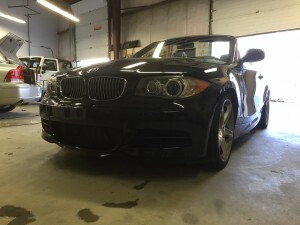 Recently our shop was presented with the opportunity to install and review the BavSound Stage One Speaker Upgrade in my buddy’s 2010 BMW 135i convertible. I had not heard these speakers in person and I was truly curious about what kind of improvement could be achieved with a simple $388 speaker upgrade. Considering what we normally do to upgrade a stock BMW sound system, I wasn’t expecting much from a simple speaker upgrade. The average ticket on a BMW audio upgrade at our shop usually ranges from $3500 – $6500 depending on which stock stereo the vehicle is equipped with and depending on the quality of speakers the customer chooses (usually Morel speakers – either Tempo, Virtus or Hybrid). If you have the Logic 7 system, I’d tack on another $800 or so in digital pre-amplifer interfacing. Oh, and I’d ask you to drop your car off for 2-3 days to do all this work. Huh, when I put it that way, kind of sounds like a LOT to ask for a stereo upgrade! What if you want to upgrade your BMW stereo without completely overhauling it and dropping a few grand? Why can’t we just upgrade the speakers? Yeah, well, after hearing these speakers, I don’t think I’ll be saying THAT anymore – to my BMW customers anyways. BavSound Stage One Review – These speakers are a game changer. My standard sales pitch is true when we’re talking about aftermarket speakers that have been designed and engineered to work with aftermarket stereos and aftermarket amplifiers, but what about a company that decided to engineer speakers for the stock stereo and amplifier? What if they designed the speakers around the car? Then my friends, you have a game changer and that’s exactly what the BavSound Stage One Speaker Upgrade is. BavSound believes that upgrading the sound system in your BMW should be easy. 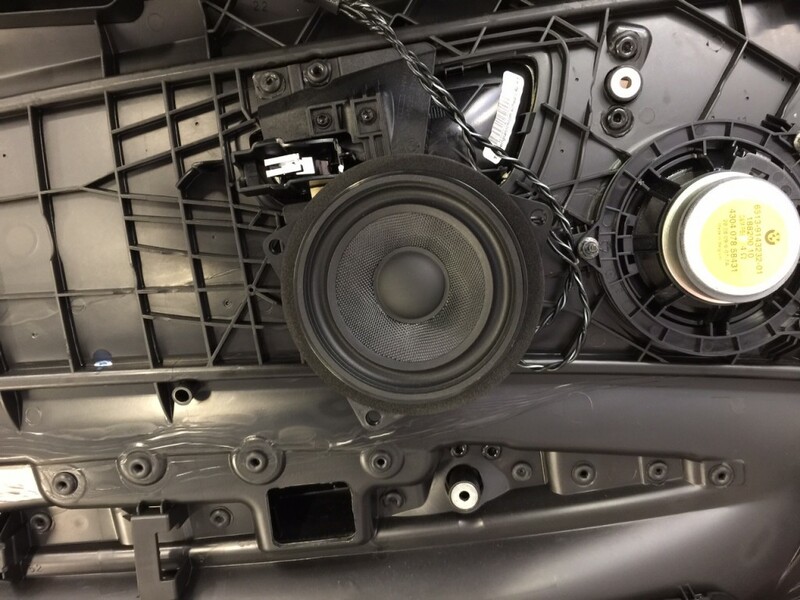 They are so passionate about making BMW audio upgrades easy that they created a line of speakers engineered specifically for BMW vehicles with a true plug and play design. 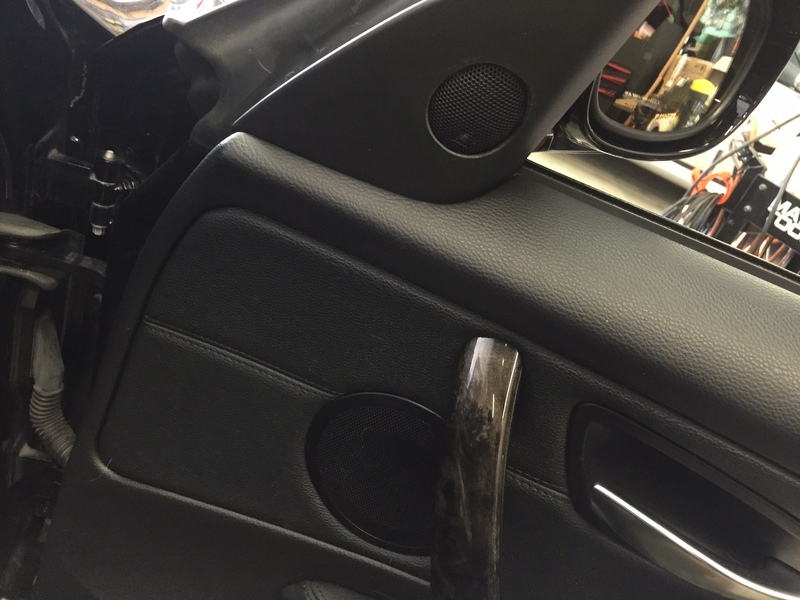 BavSound Stage One Speaker Upgrade BMW 1 Series – No modification necessary! 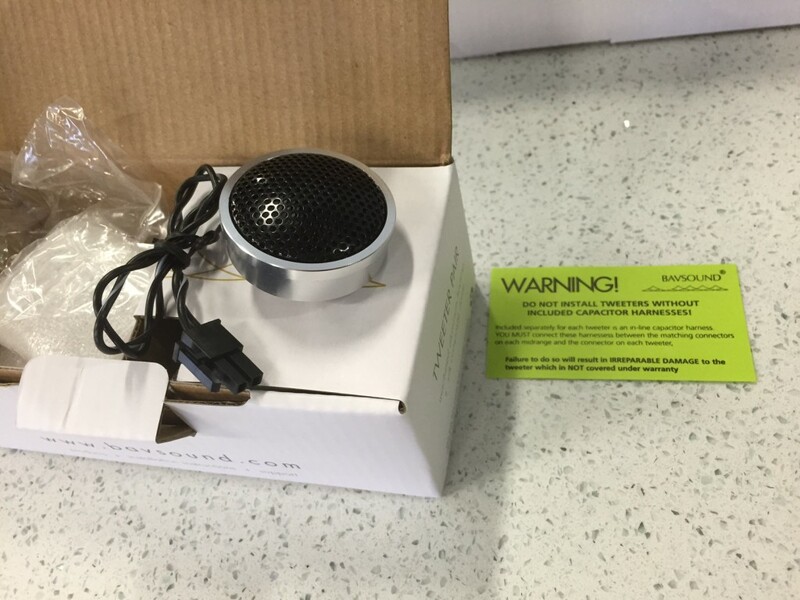 BavSound Stage One Speaker Upgrade – Can’t beat a plug and play design. BavSound Stage One Review – Easy Installation is a major benefit. Right out of the box I could see and feel the quality of the drivers. Midrange speakers are made of a quality fiberglass weave and the surprisingly heavy tweeters feature a silk dome. BavSound Stage One Tweeters – Silk dome is where it’s at. This combination of quality speaker materials coalesces to create sound reproduction that is warm, natural and smooth. 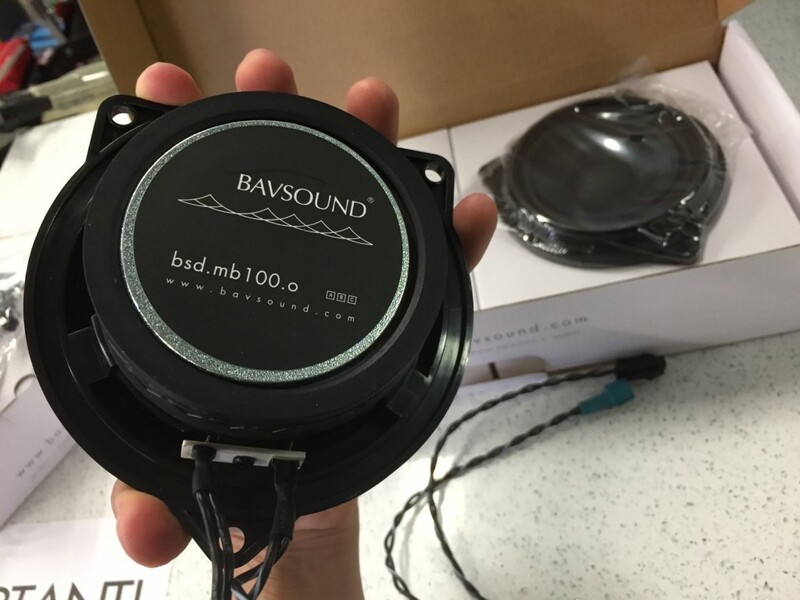 BavSound Stage One Review – How did it sound BEFORE? Well first off, let’s talk about how the factory speakers sound in this base BMW stereo. If My Truck Could Talk – Really, Scott? That’s what your listening to? No top end detail whatsoever – remember the base radio doesn’t even have tweeters. Very muddy mid range – unpleasant is putting it kindly. The bass – no deep punchy bass here, but certainly plenty of boomy shallow bass coming from those stock under seat subwoofers. 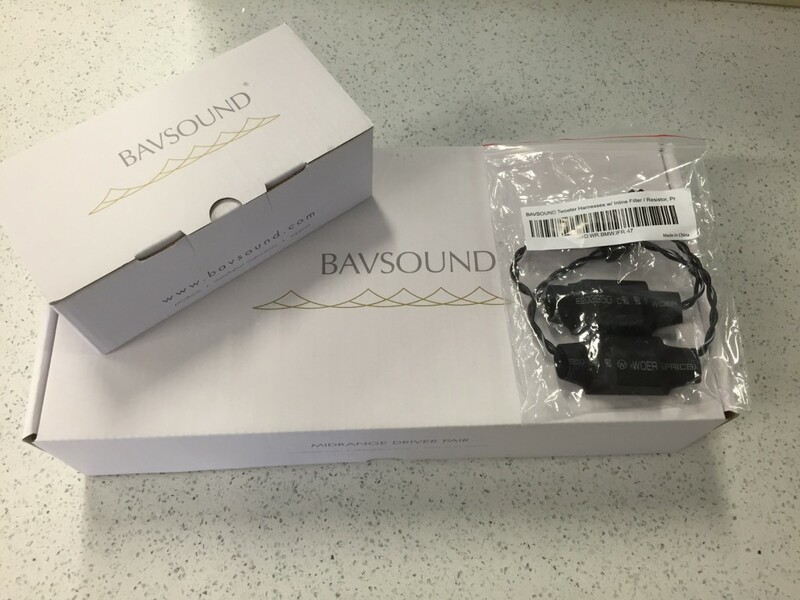 BavSound Stage One Review – How did it sound AFTER? Pretty freaking amazing is putting it lightly. Scott, hubby John and I were all extremely impressed with the sound quality improvement achieved with such a simple upgrade. Remember, we just did front speakers. That’s it. Two midranges and two tweeters. “Wow – that’s just from new front speakers? (Pause) Wow! That’s pretty impressive”. For reference, Scott is no stranger to high fidelity car audio equipment. In his GMC Sierra he has Morel Hybrid speakers, JL Audio Slash Series amplifiers, Sony GS head unit and JL Audio TW3 subwoofers in a custom enclosure. He’s used to pretty good sound quality in his vehicles and he’s used to spending a lot of money to achieve that good sound quality. Detailed, smooth and clear top end – voices were crisp and detailed, yet silky smooth. Warm, clear and natural mid range – the muddiness was completely gone. Additional output – these speakers are very efficient, playing much louder than the original stock speakers, yet they blended beautifully with the existing stock rear speakers and stock subwoofers. Additionally, these speakers didn’t have any hint of harshness to them which is something I’m always concerned about whenever replacing stock speakers without also upgrading the source unit and/or amplifier. The BavSound speakers are incredibly impressive. So much so that I’ve changed my audio upgrade approach to BMWs. 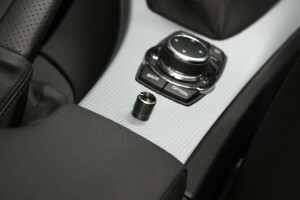 Ready to upgrade your BMW audio system? If you own a BMW and are interested in upgrading your audio system – without breaking the bank or tying up your car in the shop for days – you will appreciate the audio transformation achieved with the simple BavSound Stage One Upgrade. The only other thing I would add to compliment the BavSound Stage One Upgrade is what I call a real subwoofer, something to add true depth and deep, punchy bass. Luckily, the folks over at BavSound agree and have a few Ghost Subwoofer options of their own available for select BMW’s. If you’re ready to upgrade your BMW audio system, head over to BavSound.com and find out what it will take to upgrade your BMW audio system. I have bavsound stage 1 in my BMW and confirm serious bang for buck. I recently installed the BimmerTech amp and w dsp and am very happy. Today I got the new bavsound underseat subs and am installing Saturday (anyone can install this stuff w the videos online). While the stage 1 + BimmerTech amp + bavsound underseat subs are not going to rival any $5,000 custom system, for $1,500 total it will be perfect and I can easily removed as its all plug and play. Not sure why JW was so mean, this was s good write up. 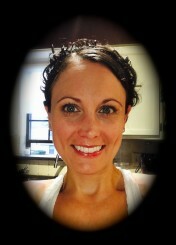 Read this – which apparently was in soapbox mode as well – and was horrified to the bone. This is the worst most stupidest non-sensical thing you will ever hear someone say about car audio. I’m very sorry but you need to go back to school. ‘When it comes to upgrading your stock audio system, speakers are not the place to start ***I’m sorry….you said WHAT???? That is the single stupidest thing I have heard in my life doing car audio*** It’s like taking two steps forward and one…..nah I am going to just cut that short. That above is the worst advice EVER GIVEN. Kids old dudes, whoever. An amplifier amplifies the sound. An Audison one does it and a Boss one does it. Yes of course the Audison is better but that’s not the point. When it comes to money (if you are planning an install on a budget which most humans do I think?) then spend as much as you can on your speakers – within reason, yes, but still. My ear doesn’t pick up the variations in an amplifiers THD (within reason), it doesn’t pick up its efficiency, it doesn’t pick up the pre out voltage of the deck…you know what my ear hears? THE F**KING SPEAKERS!!!! Why would I buy fantastic JL Amps and then hook them to some Fusion speakers? In the reverse though…how much better would it sound if I bought a crappy Fusion amp and hooked it to some JL speakers…? That is absolutely disgraceful. That is the worst car audio statement I have ever heard. Go back to selling cables…chick. Your rude and ridiculously ignorant comment is the only thing that is disgraceful here. Your comments confirm you don’t know a thing about car audio. Maybe after doing this for 15 years you would know the difference. But judging by your comments and attitude maybe not. You could buy the BEST speakers – say for example some Morel Titanium 2-way components speakers – these are $1500 speakers. You would be a fool to think you’ll ever even come close to the quality they are capable of producing by piping them through a stock amp or worse a Boss amp. On a display board you can hear this difference. In a car it’s even more obvious. Quality aftermarket speakers typically require proper amplification and a good clean source (aka head unit). Speaker efficiency must be considered when upgrading stock audio speakers if you are looking for any type of noticible quality upgrade. You should back your claims up with some experience and some facts before spouting off. I have real life real world experience. Most recent confirmation of this is a Jeep Wrangler client. Two identical vehicles, two identical audio systems EXCEPT that one customer chose to keep his stock head unit and use a JL Audio Cleansweep. NIGHT AND DAY DIFFERENCE. What could possible be the cause of one sounding so much better than the other? Same equipment, same vehicle, same installer, same tuning. Well one chose to keep their crappy stock head unit in line. I finally convinced that Jeep Wrangler customer to meet my other Jeep Wrangler customer who opted to go with the aftermarket head unit. After 5 minutes of listening – same car, same speakers, same amp (Morel Virtus in the front, Tempo’s in the rear, Alpine PDXV9 amp, JL Audio 12″ TW1 sub) the customer came in, gave me his keys and asked me to rip out the stock head unit and put the aftermarket in. 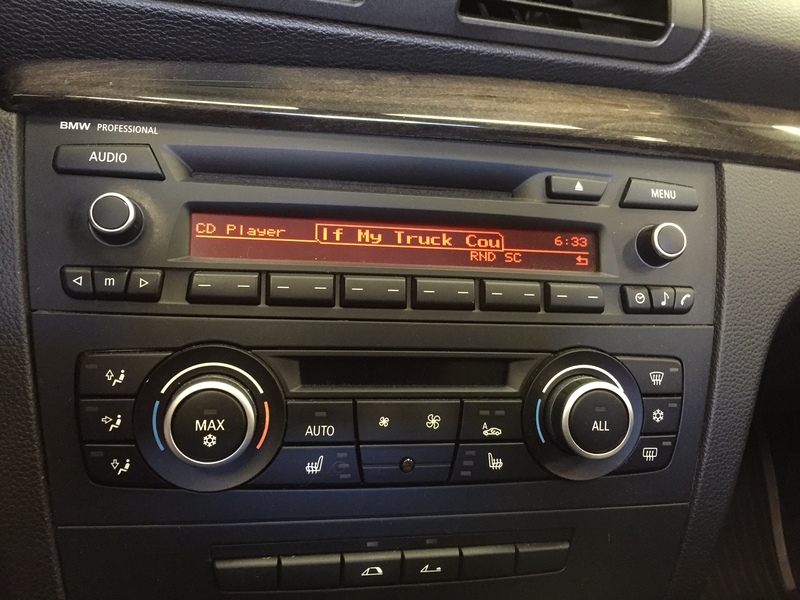 Additionally – these BMW’s in particular have several different stock audio systems. I know because I’ve worked on them and owned several. Some of them you can get a clean pre-amp level signal. However on many newer models with the fiberoptic MOST amplifier, you cannot. Even still, with quality aftermarket speakers, aftermarket amp, stock pre-amp level signal – my music never sounded as good being piped through that stock BMW head unit as it did being piped through an aftermarket radio. There is a huge difference between stock head units, aftermarket head units, stock amps, aftermarket amps and speaker efficiency also plays a major role in all of this. Stop spreading misinformation and maybe try backing up your BS with some expertise and real world experience! “Speakers are what produce the sound” Really? Where do you think the speakers get their audio signal from? You don’t think that has any effect? You should try going into a car audio shop and select a basic, efficient pair of speakers and listen to that pair of speakers with a Sony head unit, then a Kenwood head unit, and an Alpine head unit and a Pioneer head unit and then you tell me if you still think that’s true. You will hear a difference between all of them and the same is true for stock head units too.